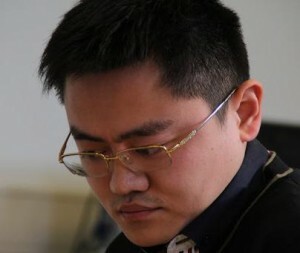 In a stunning development, the AlphaGo computer program has swept European Go Champion and Chinese professional Fan Hui 2P 5-0, the first time that a go professional has lost such a match. “This signifies a major step forward in one of the great challenges in the development of artificial intelligence – that of game-playing,” said the British Go Association, which released the news on January 27, based on findings reported in the scientific journal Nature this week (click here for the video, here for Nature’s editorial, Digital intuition and here for Go players react to computer defeat). NOTE: This story was posted at 1p EST on Wednesday, January 27; be sure to get the latest breaking go news by following us on Facebook and Twitter. Google DeepMind, the British artificial intelligence company which developed AlphaGo, has issued a challenge to Lee Sedol 9P from South Korea, the top player in the world for much of the last 10 years, to play a 5-game, million-dollar in March. “I have played through the five games between AlphaGo and Fan Hui,” said Hsiang. “AlphaGo was clearly the stronger player. The next challenge against Lee Sedol will be much harder.” While Hajin Lee agreed, saying “I still doubt that it’s strong enough to play the world’s top pros,” she added “but maybe it becomes stronger when it faces a stronger opponent.” Fan Hui (left) is a naturalized French 2-dan professional go player originally from China. European Champion in 2014 and 2015, Fan is also a 6-time winner in Paris as well as Amsterdam. The BGA noted that that achievements in game-playing technology have contributed to developments in other areas. The previous major breakthrough in computer go, the introduction of Monte-Carlo tree search, led to corresponding advances in many other areas. In a related story, computer scientist John Tromp last week revealed the number of legal go positions, “weighing in at 9*19=171 digits.” Read more here. Update (11:44pm 1/27): Myungwan Kim 9P will analyze the games played between Fan Hui and AlphaGo during a live stream on the AGA YouTube Channel and TwitchTV this Friday; more details will be posted at 7a EST.